It’s the mission of K-B Lighting Manufacturing Company, Inc. to continue to bring innovative, energy-efficient lighting products to key market segments. To meet this commitment, K-B Lighting Company, Inc. maintains a philosophy of continuous improvement in products, support, value and delivery. K-B Lighting Manufacturing Company, Inc. began operating in 1946 in Philadelphia, PA. Located in Northeast Philadelphia since 1955 K-B Lighting still continues to supply the region with high quality lighting products at competitive prices. K-B has been an innovator of lighting technology, producing numerous long-lasting, high efficiency and cost effective lighting products for today’s markets. K-B Lighting Manufacturing Company, Inc.capitalizes on emerging lighting technologies to create unique market-driven products. Our business has primarily been concentrated in the worldwide commercial lighting market. 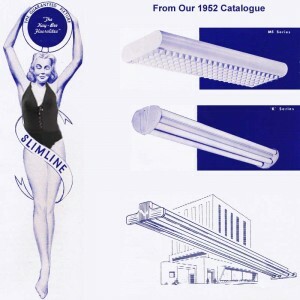 For over 60 years K-B Lighting Manufacturing Company, Inc. has specialized in the fluorescent lighting industry in the United States and Canada. With our production facility located in Philadelphia, PA, U.S.A., it is possible to supply our customers with standard lighting as well as customized lighting with short lead times. We pride ourselves on our production facilities and highly experienced well-trained staff that have earned KB Lighting a reputation for quality lighting products at very competitive prices.